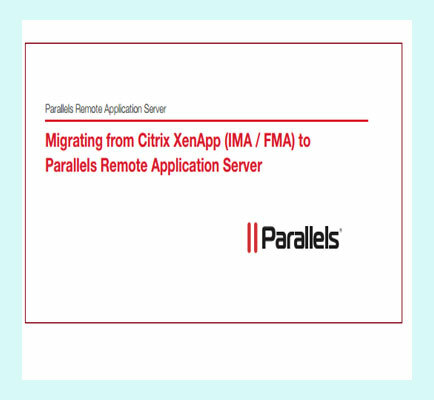 "Migrating from Citrix XenApp to Parallels Remote Application Server"
This migration white paper explains how to migrate your Citrix XenApp application and virtual desktop delivery solution to Parallels Remote Application Server. It is written in an easy to follow, step-by-step format. Why Should You Migrate from Citrix XenApp to Parallels RAS? Network is a group of two or more computing devices enabled to exchanging data with each other (such as files or messages, printers and other shared peripherals) through a data link. The connections between these devices can be established by means of a cable or wireless media. The computers or devices on a network are called as nodes and the ones that allocate resources are broadly categorized as servers or workstations.